Prominent & Leading Exporter from Faridabad, we offer p.p. box strapping. Using the best quality fabric and other material, we are successfully supplying a wide range of P.P. Box Strapping. Our offered box strapping is design using top notch material and highly updated technology under the supervision of our experts. These box strapping has gained amazing value in the market for featuring spotted attributes. 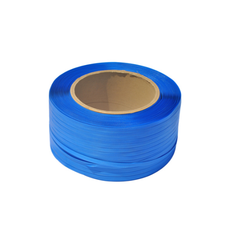 Moreover, the box strapping offered by us can be taken by our customers in modified options at nominal rates. Looking for Box Strapping ?